Quiet campsite by the shores of Parentis Lake, 2-star Camping Calède is waiting for you! Come and spend wonderful holidays in the Landes, between lakes, forest and ocean–this campsite is heaven on earth! Whether you are in a tent, caravan, camper, or mobile home, are walking or cycling and are with family or friends, you will be warmly welcomed in French, English and Spanish! 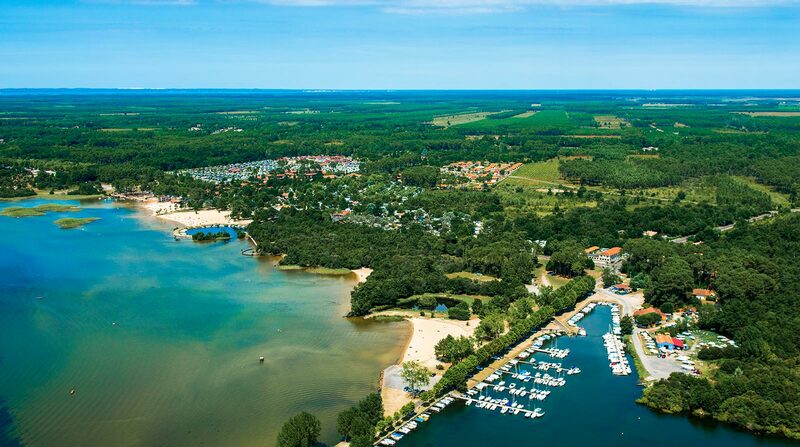 Don’t hesitate and book your next vacation at Camping Calède in the Landes right now by filling out this form and clicking “send”. Then you’ll receive a reservation contract by post. I agree that the information entered in this form may be processed as part of the rental and the resulting business relationship. In case of late arrival or early departure, no refund will be made. The deposit paid during the booking will be kept by the campsite. Camping Calède reserves the right to cancel your stay in cases of extreme circumstances or fortuitous events that could affect the safety of customers. The campsite is managed by Agnès Laluque. It is an independent campsite part of the chain “Les pieds dans l’eau” (reserved to sites with direct access to water) https://camping.lespiedsdansleau.com/. This family heritage is passed down from generation to generation since the mid-60’s.